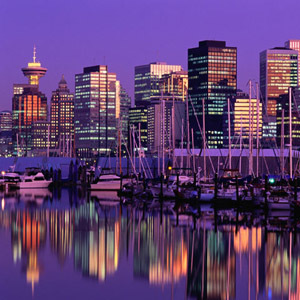 British Columbia has an amazing geographical diversity from the Rocky mountains, to open ranges, rainforests, beaches, lakes, rivers, Cosmopolitan Cities and the Ski Hills at Whistler. All arranged into regions featuring their differences and unique tributes. The climate varies greatly across the Province because of its long coastline on the Pacific Ocean and its mountain ranges. There are numerous activities and events for year round entertainment. Everything from Whale Watching, Canoeing, Kayaking, Skiing, Snowmobiling, Fishing, Zip Lining, Sightseeing and the magnifient Rockie Mountains. Something for all ages and tastes. BC is a land of colourful characters from the proud heritage of the Aboriginal peoples to the early explorers who struggled against fear and famine to open the west. Refined Victorians of the British Empire, swaggering lumberjacks, wild west cowboys and silk-swathed settlers from the Far East. Not forgetting the building of the cross Canada Railway which brought many Chinese immigrants to the Province and today this is reflected in the huge Asian influence in the area. For more information on each region click on the links below. We offer a wide variety of tours across the Province many combined with Alberta our sister Province. Click on the links below for more details on the tours.